Mia getting ready to meet Santa’s Reindeer! The cozy cabin where we stayed. 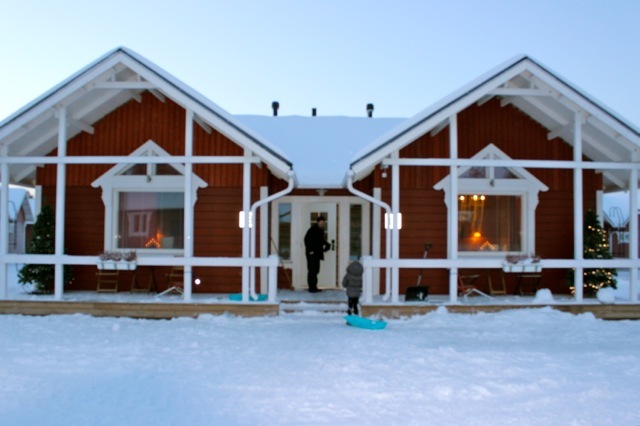 The beautiful scenery around the cabins. 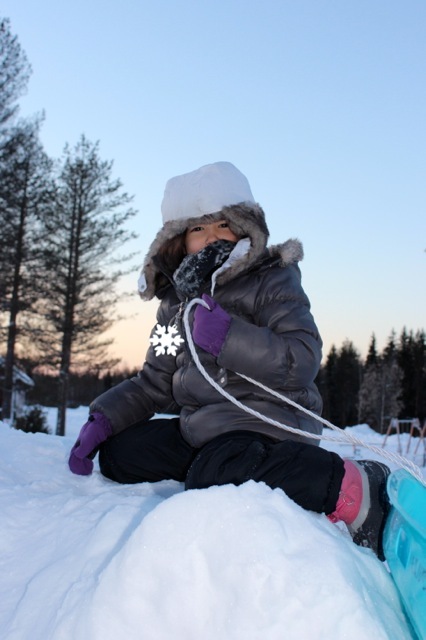 Mia’s first experience sledding and seeing so much snow! 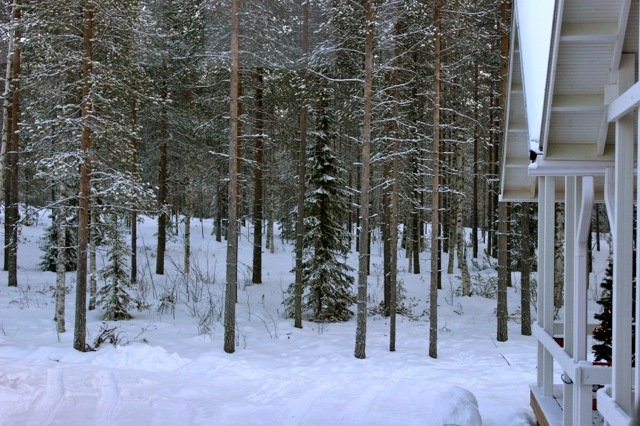 We were in love with all of the beautiful trees in Rovaniemi! 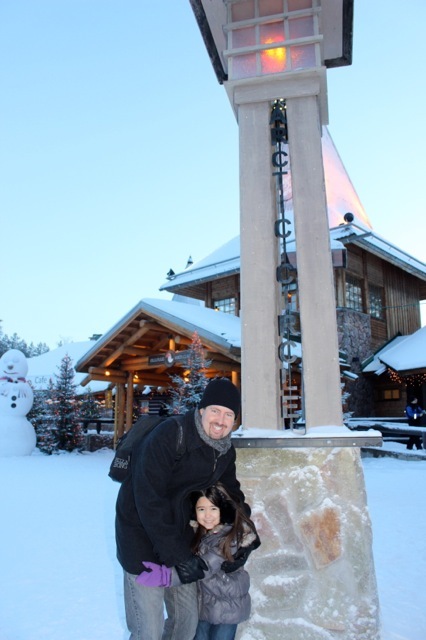 Mia and her daddy at the line for the Arctic Circle! 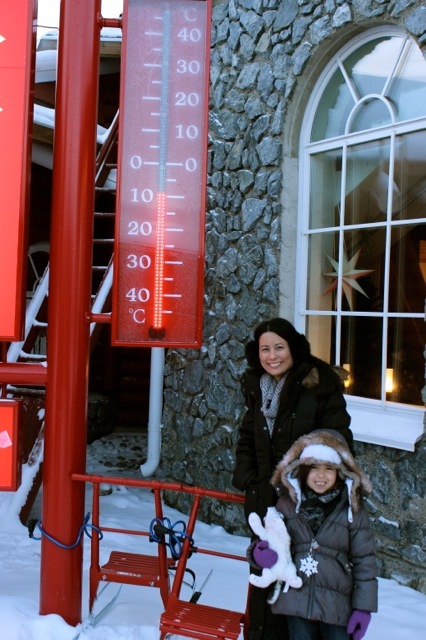 The temperature at the Arctic Circle. Brrrrrr!!! 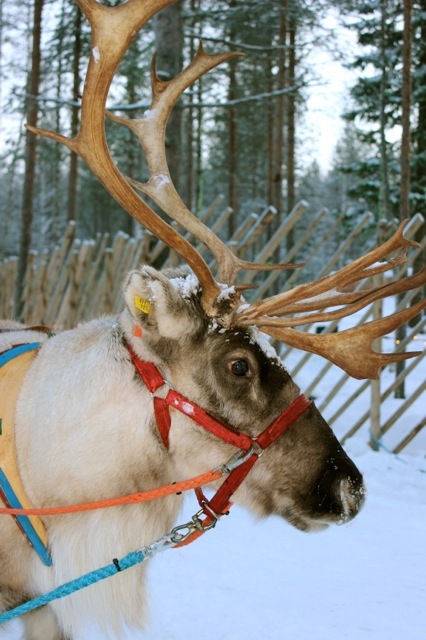 One of Santa’s beautiful reindeer. 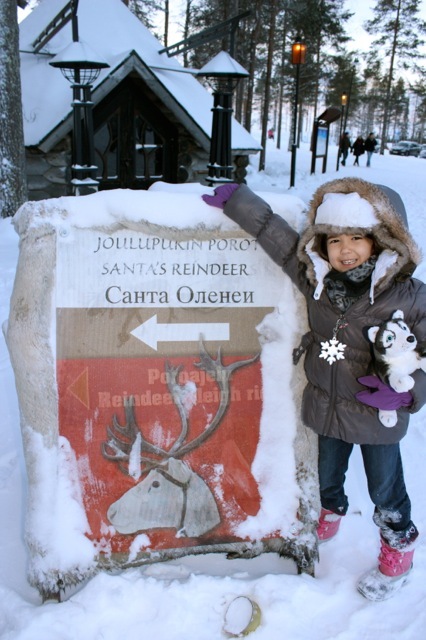 There are more reindeers than people in Rovaniemi! It was so amazing to see a real one in person! 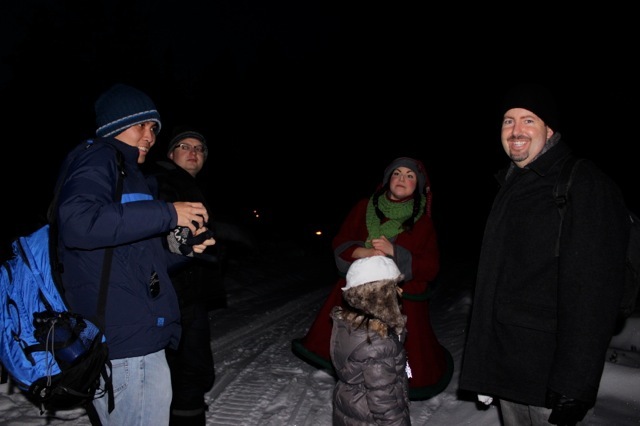 We decided to travel to a secret place in the middle of the forest to experience the Dream of Joulukka. It was an experience our family will never forget! If you get the chance to experience this through the eyes of a child it is truly a magical and unforgettable experience. 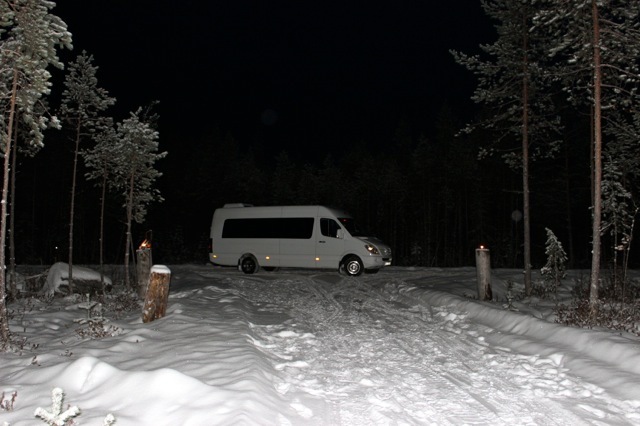 A white van came to pick us up at the resort and we stopped to pick up a few others on our way to Joulukka. We drove for about 30 minutes out to what felt like the middle of nowhere into a mystical forest. All of the kids also magically fell asleep on the ride there and back. So, it certainly is a secret place and the kids have no idea where they were! There were 12 of us total on this adventure and we were greeted by a cute little elf! She took us to a cozy hut with a fire pit in the middle which said elf school above the door. Her, another elf and a troll told us elf stories and taught us a few of the elves secrets. We also had fun decorating gingerbread cookies and receiving our Santa’s Helper Diplomas after graduating from elf school! 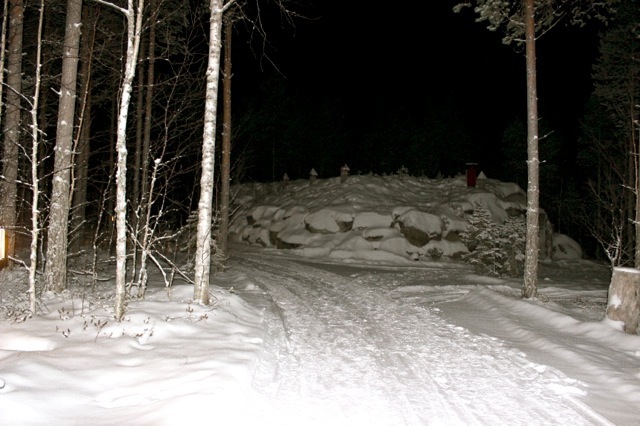 We made it to Joulukka and were dropped of in the middle of nowhere (a mystical forest)! 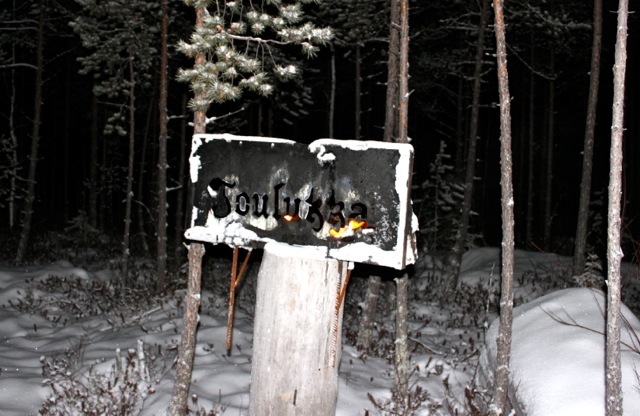 The entrance sign for Joulukka. We were greeted by this cute elf with a pointy nose in a red dress after getting dropped off in the forest! The elves getting ready to take us into their Elf School Hut. 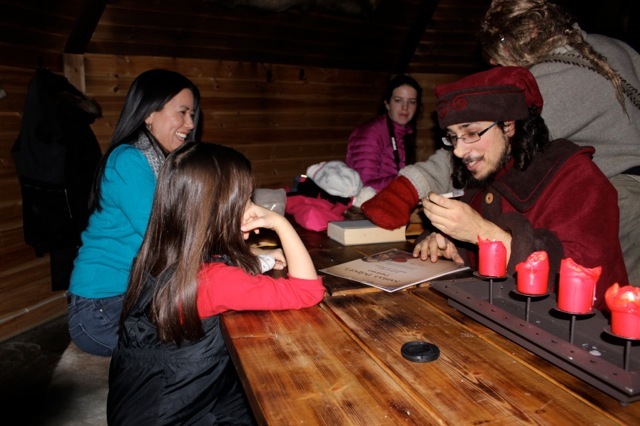 The cozy fire in the Elf School Hut. 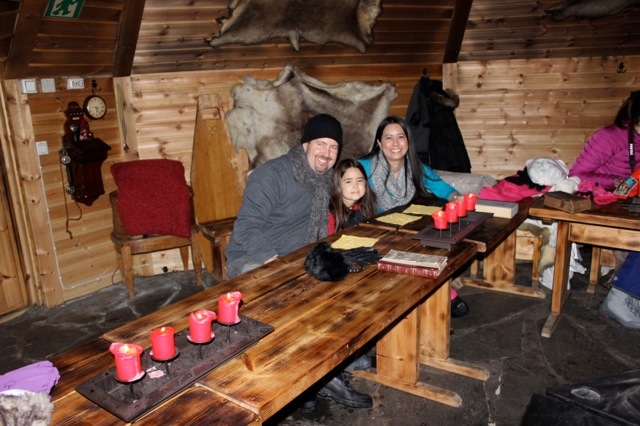 We enjoyed decorating gingerbread cookies in the cozy hut! One of the elves signing our Santa’s Helper Diploma! 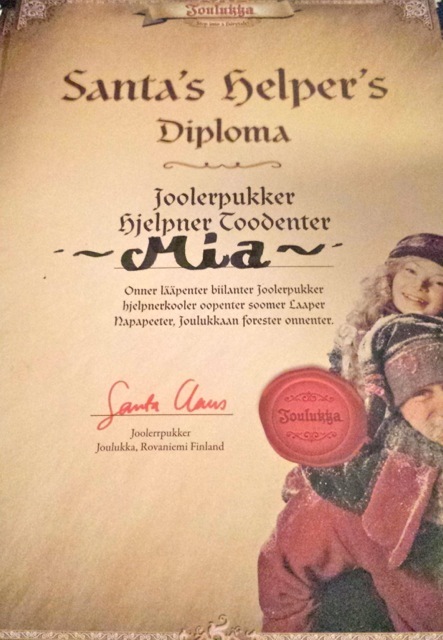 Mia’s Diploma after graduating from Elf School. Each of us received one of our own! 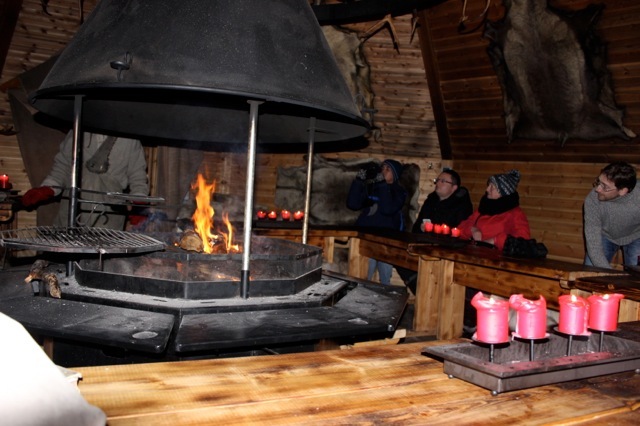 After graduating from elf school, the elves took us through a candle lit forest to a fire where they told more stories under the beautiful clear star lit sky of Lapland. We enjoyed roasting marshmallows and sipping on hot chocolate to keep us warm and cozy! 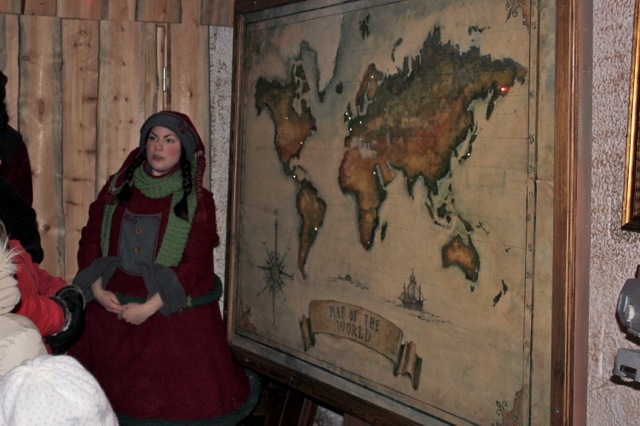 We then took another journey through more of the candle lit mystical forest to Santa’s Command Center where we saw many cool things including Santa’s world map, his mail machine, his desk, and at the end we enjoyed a very magical experience of meeting Santa Claus himself! 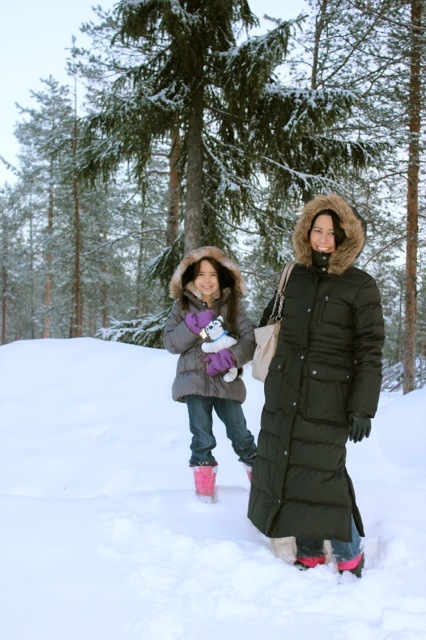 Our walk through the forest to Santa’s home which was hidden under a huge pile of snow! 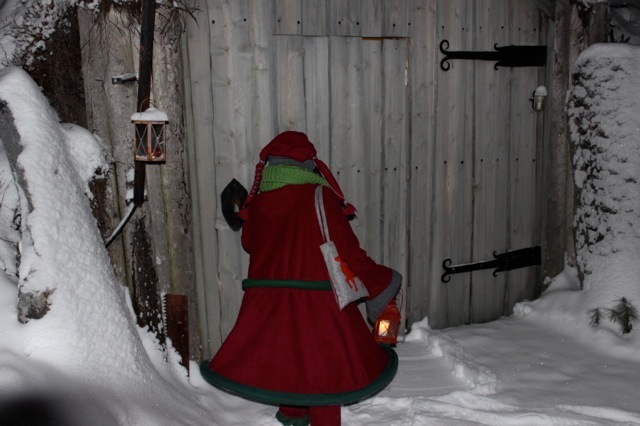 The elf had a secret knock to enter Santa’s Home. Santa’s World Map showing the other command/toy distribution networks around the world! 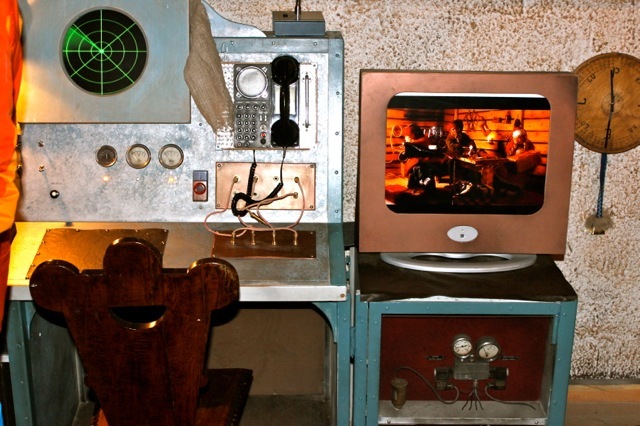 Santa’s radar and elf cam! 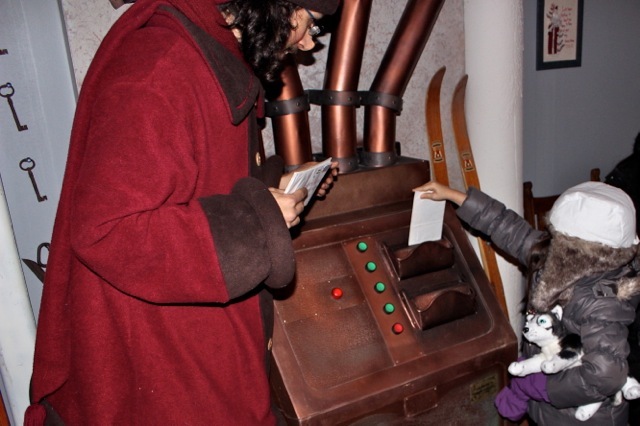 Mia putting a letter into Santa’s mail delivery machine which delivers children’s letters to him no matter where he is! After going through a secret door, we met Santa himself! 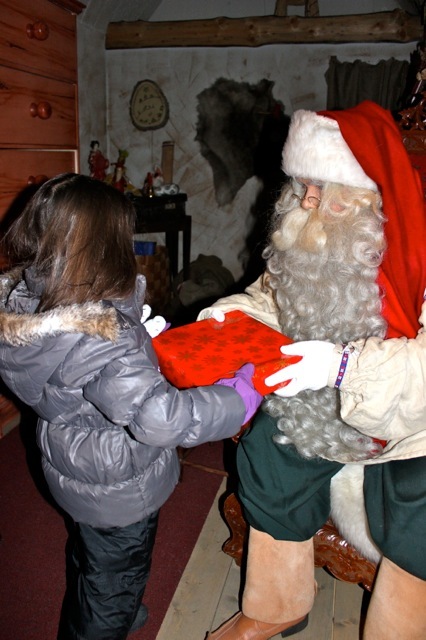 Mia had the opportunity to tell him what she dreamed of for Christmas and Santa also presented her with a gift (we secretly gave it to an elf ahead of time) and he even walked outside in the snow to talk with us before we left his home in the forest! 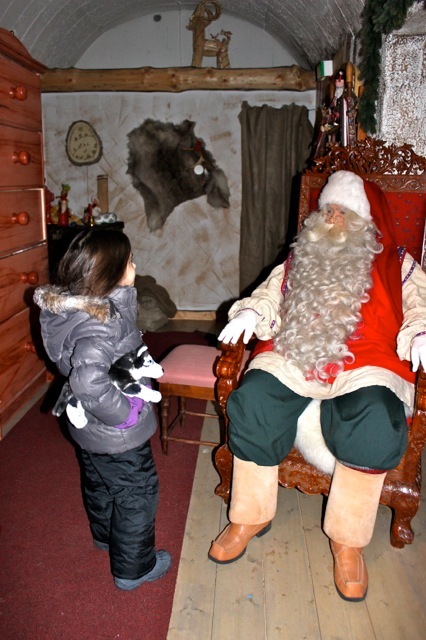 Mia telling Santa what she dreamed of for Christmas this year! Mia receiving her special gift from Santa! 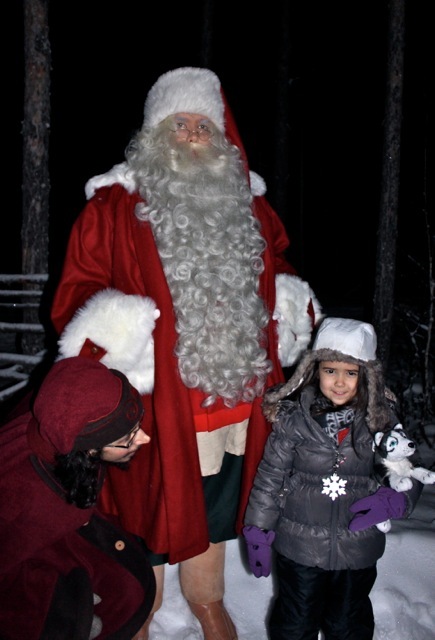 Mia with Santa and one of his elves in the snow-covered forest at his home!